Who is Ashley, you ask? I thought this was Kate’s blog. Well, that’s true enough. 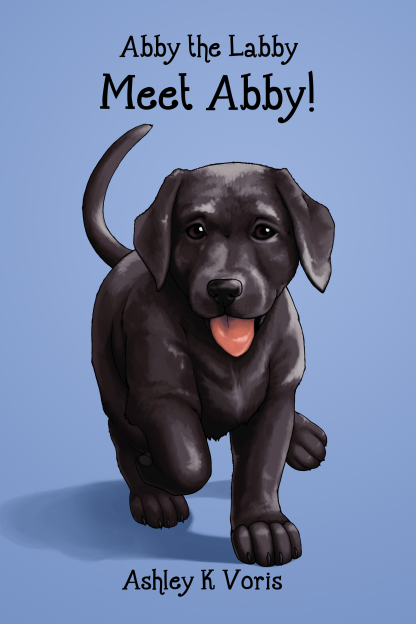 I’ve asked Ashley here because she has one of the most adorable books coming out: Meet Abby. Which you should order. *nods firmly* I didn’t know she was a Justice League lover, I may need to re-evaluate our friendship. And poutine is amazing. Don’t listen to her. Kate asked me to do a guest post this week for her blog. So here I am. accordingly or add the answer in italics. is for allergies. I have terrible seasonal allergies. Everything is pollinating and spreading sperm everywhere. It isn’t fair. I think it is rather inconsiderate of trees. I think they should ask. What if I didn’t want to breathe their pollen. Bad touch! Trees are jerks. is for beignets. God these things are delicious. I haven’t made these in a while. I should fix that. Deep fried dough topped in powdered sugar? Such a delicious mess. Am I right? never drink coffee ever again. Can you imagine? is for dog. I love big mutts and I cannot lie. Not small dogs. Anything under 30lbs is not for me. I love big drooly dogs. write…..huh?…..I’m talking about the word FAVA. What word are you thinking about? was the point of killing the poor creature? is for Holy hell this is going to be a long blog post. happy but also really sick. kitty bow ties and……*cries*….I’m sorry…..I just love kitties. Doug on the movie “Up”. “Hello. I just met you and I love you SQUIRRLE!”. shooting into the air which them goes into my nose and lungs causing me to suffer from asthma. Also, the yellow sheen on my car is gross, guys. Get your crap together trees! is for poutine. What the hell is poutine? It sounds gross. is for Quebec which is in Canada where poutine is made. What is this stuff??? at some point in time. It is on my list. is for tattoos. I love tattoos. I need a new tattoo. I have a few of them right now, but I need more. one, and a Beatles one….. I have a whole pinterest board dedicated to tattoos. I’m addicted. the song really really loud. added cherry syrup for sweetness. One would THINK that red wine sangria is red wine only. Nowhere on their menu was it listed that was an ingredient. I wasn’t happy. is for……x ray?Xylophone? I got nothing. listening to Taylor Swift while trying to focus long enough to finish this thing. is for the Zyrtec I have to take because trees are jerks. I hate spring. Be kind to each other and party on dudes!